At Brady Billing, we provide comprehensive medical insurance billing services for dental sleep offices, and we only work with dental offices. We understand the ins and outs of the industry, and we’re familiar with billing procedures for these services. That means your patients will receive the maximum possible coverage, and your office will receive the reimbursement you deserve for the quality sleep dentistry treatment options you provide. Our team offers these quality services for dental practices without any hidden fees. Many medical billing services have minimum monthly fees, so even if you don’t need them for more than a few insurance claims, you still need to pay the minimum amount. Brady Billing offers personalized billing services for your office with no monthly minimums. Other billing providers require dentists to purchase and maintain special software. At Brady Billing, we integrate with your office’s software, and we work to make the claims and billing process seamless and stress free – whether our team or yours process the claim. 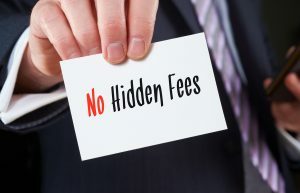 Other billing agencies will collect their fee at a percentage of the maximum allowance from the insurer rather than the actual amount provided. This leads to many dental offices charging higher fees to ensure they receive the maximum reimbursement from medical insurance claims. Our team only collects a percentage of the actual reimbursement from the insurer. This means you can offer more affordable services, and we’ll only collect a percentage of the reimbursement you actually receive. At Brady Billing, we only do one thing – medical insurance billing for dental sleep practices. Because we focus on the ins and outs of this specialty service, you can rely on us as the experts in the field. If you’re ready to free up more time for yourself and your staff to spend working with patients while still maximizing insurance coverage, give Bracy Billing a call today. We look forward to working with you.